Before the wireless light switch, we had to put up with complicated wiring. To provide enough lighting for a whole house, we have to intricately lay out wires behind walls looking like a system of highways trying to get the power source. If a light switch was faulty, we might have had to trace the wire all the way back to see there was any damage to the wire or if it had been disconnected from the power source. 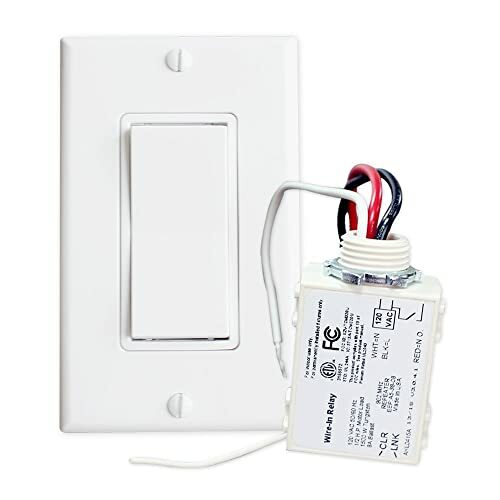 If we wanted to add more light switches to your house, we would have had to drill the walls to get the new wires connected to the power source. Fortunately, these things are no longer necessary. 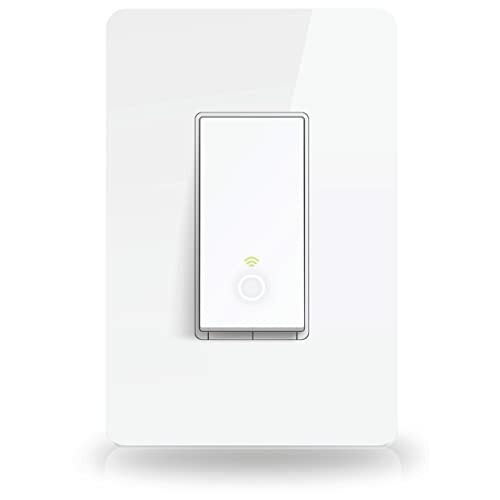 What is a Wireless Light Switch? Simply put, it is a device that turns your lights on and off without the use of complicated wiring. It uses radio frequency signals instead of blocking and unblocking power supply. A receiver is connected to the light and the transmitter is inside a switch or a remote control. When the “switch” is flipped, the light responds by turning on or off without using any wiring. Traditional switches have to be directly connected to the power source. By allowing electricity to flow, the switch “turns on” the light and it cuts off the power to “turn off” the light. Why Use a Wireless Light Switch? When a house or a building is constructed, wiring is installed and hidden behind the walls. Because of this, outlets and light switch placements are pretty much fixed. However, the placements of these light switches aren’t necessarily convenient. What probably worked during the planning stages might actually cause hassle when the building is being used. If not from poor foresight, tiny mishaps during construction could render a light switch unusable due to its location. Examples of this include placing a light switch on the wrong side of the door or on a wall where huge furniture will cover it. Aside from wrong placement, the need for extra light switches also call for the use of a wireless alternative. We may encounter instances where having extra light switches will be more convenient – like having switches at the top and at the foot of the stairs. 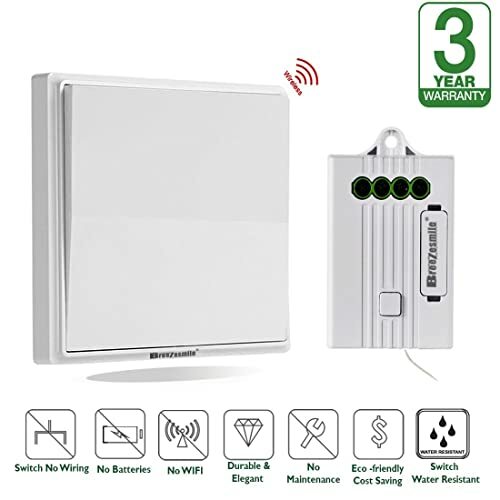 If I suddenly wanted to add extra switches but I don’t want to tear down the wall or have external wiring running around, a wireless switch would be my best bet. With a wireless switch, I don’t have to deal with intricate wiring. I don’t have to worry about possibly damaging some of the existing wires when I open the wall or about tripping over external wiring. Aside from being free from wires, most of them use a remote control. I have the option of flipping a switch or simply pressing a button to turn on the light. What is great about a remote control is that it is portable and it does not have to be plastered on a wall. I can carry the control around and, when I enter my dark apartment, I simply press a button to turn on the lights. I no longer have to fumble in the dark for the missing switch and trip over numerous objects in the process. This is also great for garage. I can carry the remote control with me inside the car and I no longer have to get out of the car to turn off the lights before I leave. Since wireless switches are very convenient, we may want to convert most of their switches into wireless ones. Fortunately, I have the option to place receivers on different lights that respond to the same transmitter. With a flip of a switch, all of these lights turn on. However, I might want to use wireless switches but not turn on all the lights all at the same time. I don’t have to worry because some switches come in more than one frequency, usually three. This enables me to assign certain frequencies to certain sets of lights and be able to control them with a single switch. Remote controls are usually battery-powered to enable it to send instructions to the receiver. Nowadays, there are companies that offer self-powered remote controls. When I flip the switch on the remote, the action starts up a generator that creates enough power to send a signal to my lights. I provide the action needed to power the remote control, which eliminates the need for batteries. I save money from battery costs and fewer batteries also equal less waste for the environment. It’s pretty cool. 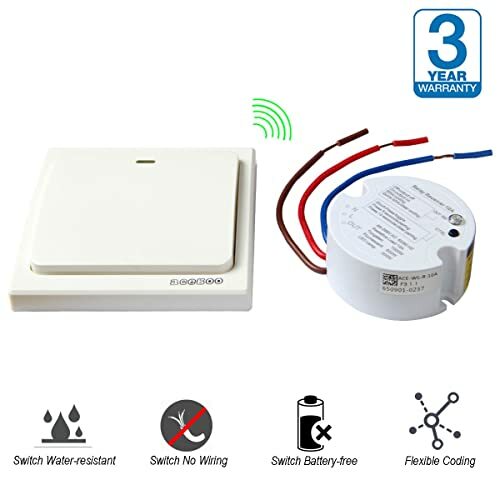 Different wireless switches come with their own installation instructions but, generally, installation is quick and easy. 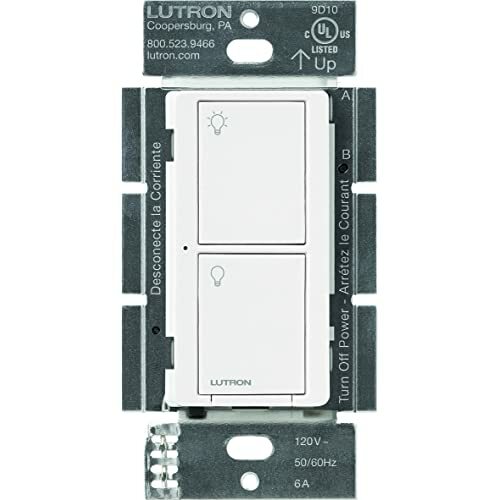 There are switches that offer different methods of attaching the switch to the wall. There are also switches that can control the intensity of your lights. With this function, you can dim or brighten your lights and you can save energy in the process. The transmission range of these wireless switches has improved over time. 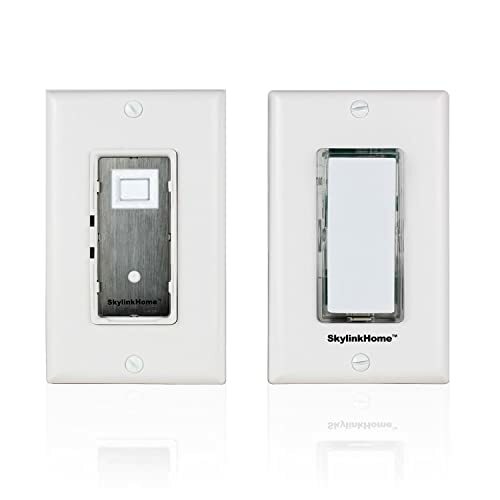 Nowadays, you can find switches that can transmit and receive signals from up to 100 ft. With a wireless switch, you also have the option to use the switch on new lights or existing hardwired lights. With all the features mentioned above, you are free to get one that offers all of them. The important thing is to consider how you will use the switches. If wall mounted switches are working well for you, you can skip the remote control switches. If you are prone to losing remote controls, you might want to stick to switches that are attached to the wall. 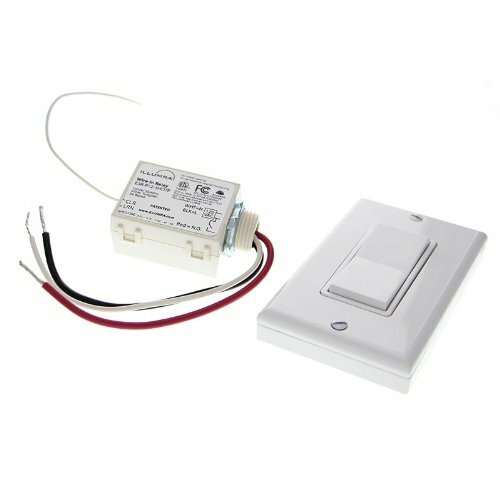 However, if you don’t want to feel around for switches and you need a more portable option, then a remote controlled option is for you. 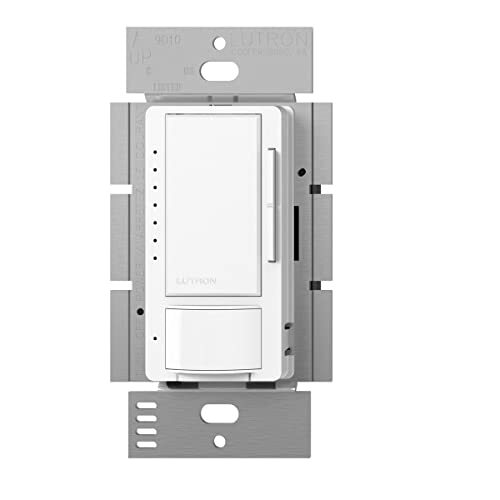 Take into consideration where the switches will be placed and how many lights will be operated by the switch. Do you need more than one switch to turn on a single light? 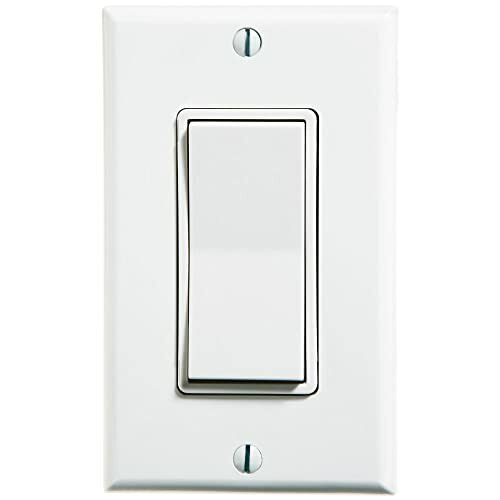 For hall lights that are turned off before going to sleep, you may want to consider placing a switch at one end of the hall and the other near your bedroom. This way, you can go to your bedroom and be able to turn off the light without fumbling in the dark. If you want to have multiple wireless switches in the house, make sure that you can keep track of them. 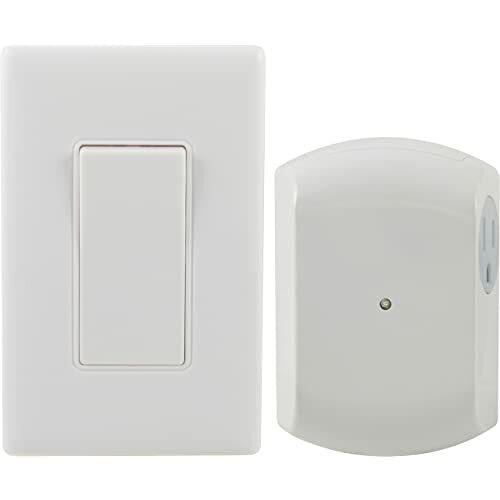 Look for switches that offer multiple frequencies so you can choose which lights you want to turn off. This wireless option offers us the convenience of not having to deal with complex wiring. With the many features available in the market today, you will be able to find the ideal wireless option for you. As it becomes more popular, they will continue to improve, bringing the price down and providing more features.